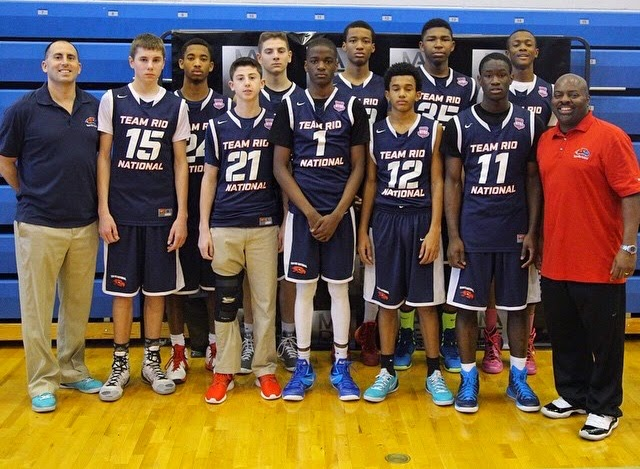 BASKETBALL SPOTLIGHT NEWS: Team Rio National To Debut At Winter Warz! The Basketball Spotlight Winterz Warz just got a boost as Team RIO National is scheduled to make their Spotlight debut. Team Rio, one of the top teams in America is stacked with nationally ranked players including Scottie Lewis, Bryan Antoine, Tariq Ingraham, Jalen Gaffney, Jordan McKoy and Dyondre Dominquez. We are definitely excited to see what this group will bring to the table. Team Rio Director Bryan Klatsky seems excited about his team playing in the Garden State. “Since we don’t that many tournaments in our home state I think it’s a great chance for our family and friends to see the kids perform. We also enjoy the stage that Basketball Spotlight gives the players”. The Winter Warz in its first year is shaping up to be a good event. See you guys on February 7th and 8th in Neptune.